The FCC announced the fine today. 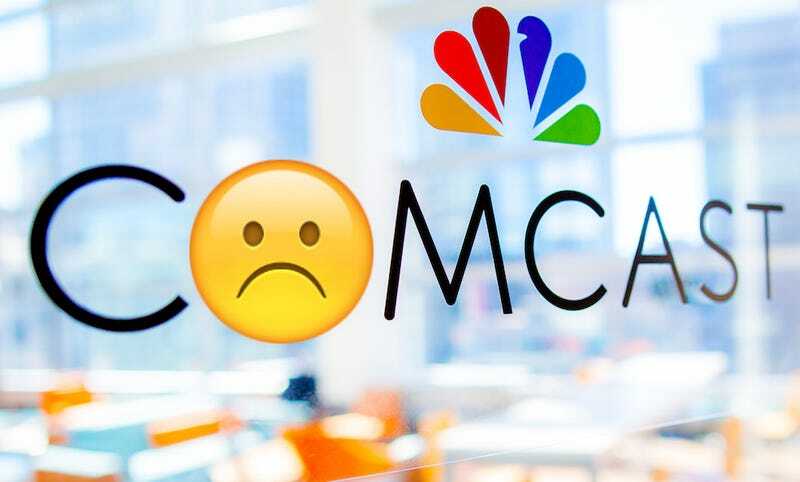 The punishment was handed down after the FCC received “numerous complaints” from consumers who accused Comcast of adding a bunch of stuff they never asked for to their cable bills, including premium channels, set-top boxes, and DVRs. Specifically, Comcast will adopt processes and procedures designed to obtain affirmative informed consent from customers prior to charging them for any new services or equipment. Comcast will also send customers an order confirmation separate from any other bill, clearly and conspicuously describing newly added products and their associated charges. Further, Comcast will offer to customers, at no cost, the ability to block the addition of new services or equipment to their accounts. In a statement to Variety, a Comcast spokeswoman said that while her company “[does] not agree with the Bureau’s legal theory here,” it’s nonetheless “pleased to put this behind us and proceed with these customer service-enhancing changes.” Better get cracking on that, Comcast.